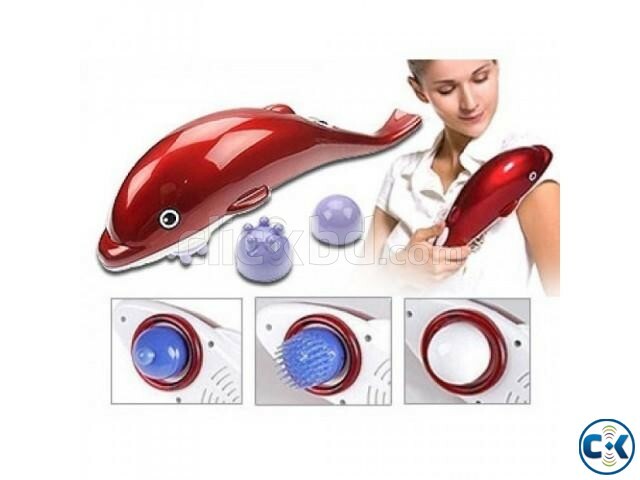 Powerful Handheld Infrared Dolphin Body Massager. Product Features:. Powerful handheld massager hammer Works by tapping-vibrating mode and long-distance infrared ray. 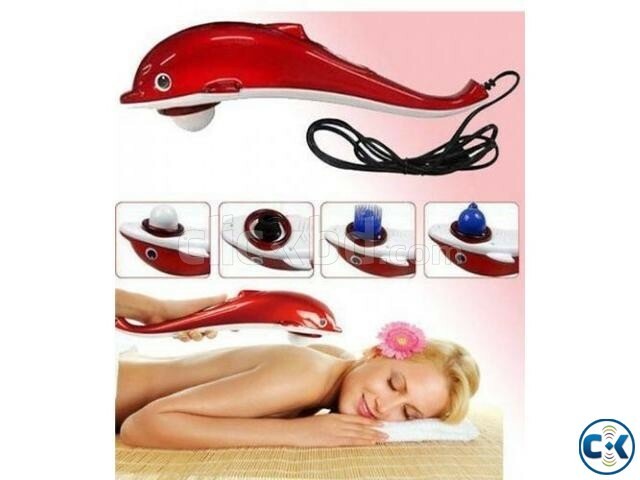 Strong effect focusing on the points of body Infra-red and warming light to give out a heat therapy. Effeciently stimulates the flow of blood, relaxes muscle and easies up the muscle pain. 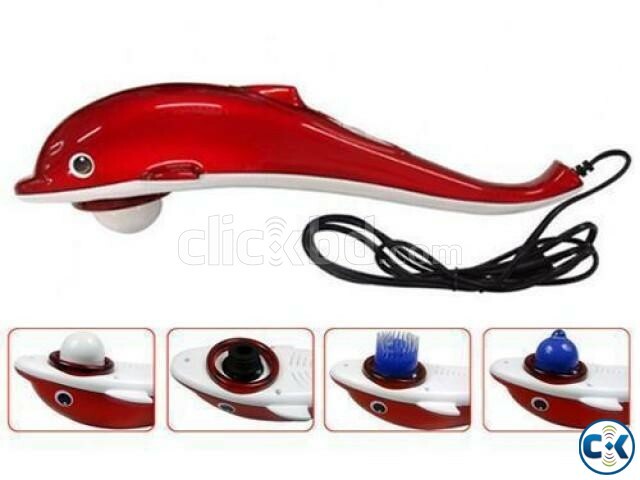 Optional 2-level vibrate speed: high and low 3 changeable massage heads for different parts of the body: ball/ spot/ brush. Plugs directly in any US wall outlets, convenient using. Automatic overheat protection to ensure safety. Friendly dolphin appearance.